China will welcome foreign capital to participate in the reform of State-owned enterprises (SOEs) via mergers and acquisitions (M&As), an official said Wednesday. Although an increasing number of foreign investors have bought into Chinese companies in recent years, the scale is far behind the global level, Shen Danyang, spokesperson for the Ministry of Commerce (MOFCOM), said at a press briefing in Beijing. "The so-called M&A wave by foreign firms has not yet happened," he noted. M&As by foreign companies could play a vital role in boosting the country's industrial transformation and upgrading, according to MOFCOM. Also, bringing in advanced global management experience would further improve the competitive ability of domestic companies in the global market, Shen noted. This will be important in the SOE reform process, said Feng Liguo, a vice research fellow with the Beijing-based China Enterprise Confederation. 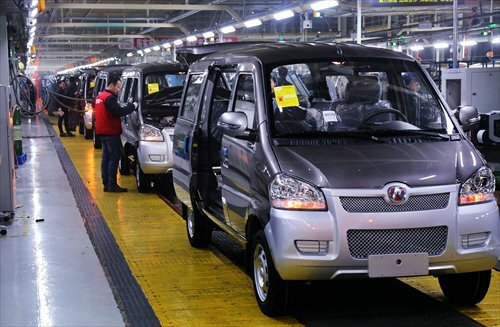 "The country was quite cautious about foreign capital buying into SOEs in the past, especially in sectors like autos and steel," Feng told the Global Times on Wednesday. "For example, foreign buyers still cannot take more than a 50 percent stake in a domestic car company," he said. But foreign investors do have great interest in SOEs thanks to the fact that some of them possess advanced technology and outstanding staff, Feng noted. Bai Ming, a research fellow at the Chinese Academy of International Trade and Economic Cooperation, told the Global Times Wednesday that domestic firms could learn from foreign companies' technology and management, and both sides could find a balance during the process. Multinational M&As make up a large part of global capital flows, MOFCOM said, citing data from the UN. Multinational M&As accounted for 38 percent of global foreign investment in 2015, and the foreign investment in China via M&As reached $17.8 billion during the same period, although this made up just 14 percent of the total foreign capital that China attracted in 2015, MOFCOM said. However, new policies will need to be rolled out to guide the M&A process in various industries, experts noted. The country will further cut the restrictions on access for foreign capital in the coming years, Shen said at the briefing. Foreign investment will be encouraged in sectors such as high technology, environmental protection and modern services in a bid to make up the shortfall in these areas, MOFCOM said. The country will step up efforts to create a sound investment environment for overseas companies that seek opportunities in China, said Wang Guoqing, spokesperson for the fourth session of the 12th National Committee of the Chinese People's Political Consultative Conference. The government aims to create a convenient, legal and international environment for foreign capital as the market competition has intensified in China, Wang told a press conference Wednesday in Beijing. Foreign direct investment into China in January reached $14.07 billion, an increase of 3.2 percent year-on-year, according to data from MOFCOM. And there were 2,008 companies that were set up by foreign investment during the same period. "The government has put a lot of focus on improving the domestic business environment for foreign companies and it is highly attractive to foreign capital," Bai said. Since China's opening-up, structural changes have gradually taken place, allowing foreign companies to invest in various sectors, Bai noted. "Now we are also paying more attention to the quality of foreign capital," he said. "For instance, we are likely to welcome investment from high technology firms, but would be more cautious about foreign investment in areas that are not environmentally friendly," Bai noted.